Connect Logistics Services provides complete liquor warehousing and distribution services to Liquor Suppliers and Agencies. 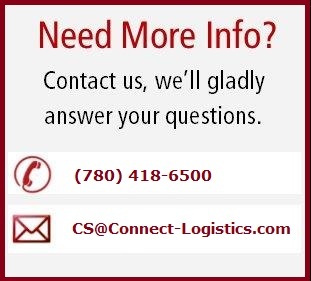 As a distribution agency of the Alberta Gaming and Liquor Commission, Connect Logistics Services handles all spirits, wines, liqueurs, coolers and import beer destined for sale in Alberta. Connect's 800,000+ square foot warehouse accept spirits, wines, coolers, and import beer for distribution. Some domestic beer brewers also utilize Connect's network. Unlike more traditional wholesalers, Connect Logistics Services does not buy or take possession of any product. Instead, Liquor Suppliers and Agencies continue to own their product until it is sold. Suppliers and Agencies have sole discretion over which products they stock. They can also allocate their products to specified Licensees within the parameters of the AGLC Allocation Policy. Connect has unique advertising mediums that will touch the target audience for Suppliers and Agencies. Turn data into information. Understand the Alberta market. Connect can provide turn key solutions to protect your stock position including replenishment services. Connect’s Promotions Department offers full service secondary packaging and kitting capabilities.